Professor Paul Oliver MBE sadly died on 15 August 2017, aged 90. Paul graduated from the University of London in 1955. During his career he has taught at various institutions, including the National Gallery, the Architectural Association, Dartington College of Arts and Oxford Brookes University. 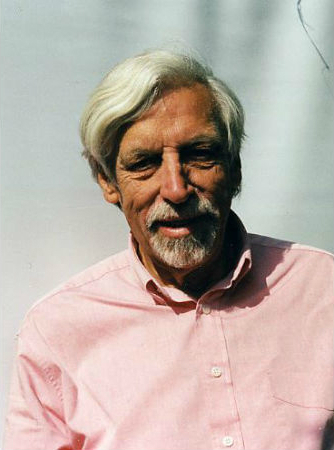 He wrote and edited a large number of books on vernacular architecture, most notably the monumental Encyclopedia of Vernacular Architecture of the World (Cambridge University Press), which won the Sir Bannister Fletcher Award for Art and Architecture in 1998. He was an Honorary Fellow of the Royal Institute of British Architects (RIBA) and received a life time achievement award from the International Association for the Study of Traditional Environments (IASTE) in 2002. In 2003 Paul received an MBE in recognition of his contribution to architectural education. In addition to his work on vernacular architecture, Paul was a leading scholar in the field of African-American music and wrote a large number of books on the Blues. In recognition of his significant contributions to the study of Blues music, he was inducted into the Blues Hall of Fame in 2008. Oxford Brookes hosts the Paul Oliver Vernacular Architecture Library collection (POVAL) in the Special Collections section of the main library for staff, students and visiting scholars. Paul's legacy will live on through his publications, his collections and the teaching programmes he helped to establish and contributed to at Oxford Brookes.